3 Bedroom Detached Bungalow For Sale in Sheffield for Offers in the region of £275,000. This property's price has dropped from £295,000 to Offers in the region of £275,000. 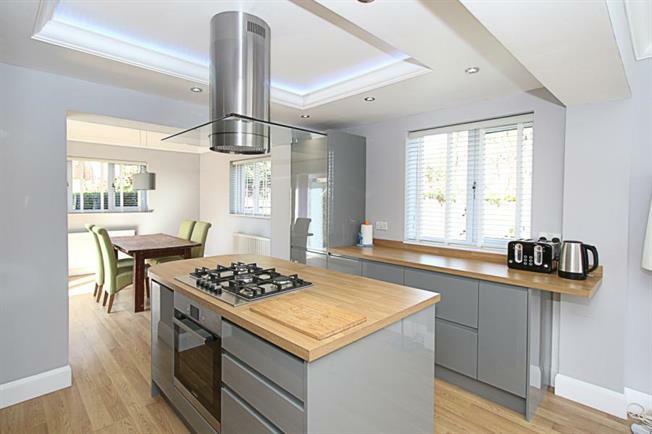 Blundells are proud to bring to the market this OUTSTANDING, FULLY REFURBISHED, Three bedroom detached, stone bungalow. Standing in its own grounds, the property boasts a high specification throughout, an early viewing is absolutely ESSENTIAL to appreciate this glamorous home. In brief the property comprises of; to the ground floor the entrance hallway provides access into a beautifully presented, open plan living area with a "stunning" kitchen island and grey, high gloss units with wooden roll top work surfaces, integrated appliances, soft close draws and colour changing spot lights to the ceiling. There is a fantastic dining space with French doors providing access to the rear of the property. The master bedroom boasts fitted wardrobes, there is a further second double bedroom with fitted wardrobes and third single bedroom/study with a fabulous en-suite. The bathroom is absolutely tremendous with two sinks, bath, shower cubicle and w/c. The property offers a generous driveway for off street parking for several vehicles and a detached garage. Standing on its own plot, with a landscaped wraparound garden to three sides, this property is quite like no other. Ideally suited to a couple or family, this is an opportunity not to be missed!